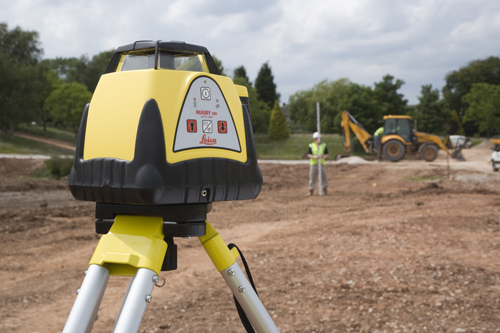 The Leica Rugby 100 have become the standard in general construction lasers. 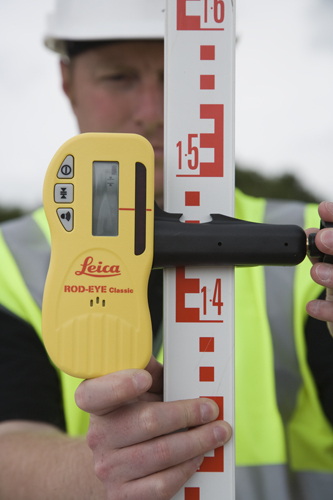 Ruggedness, accuracy and reliability have been key to the success of the Leica Rugby range of laser levels. 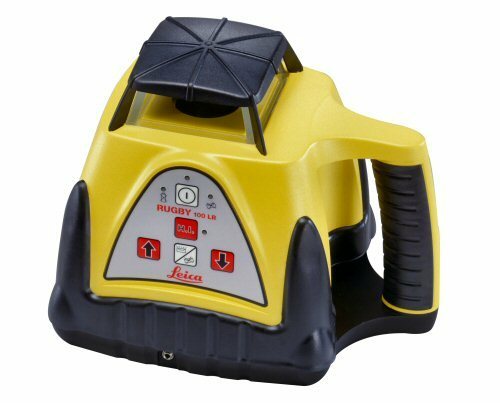 The Rugby 100 is an automatic self-leveling rotating laser for general construction. 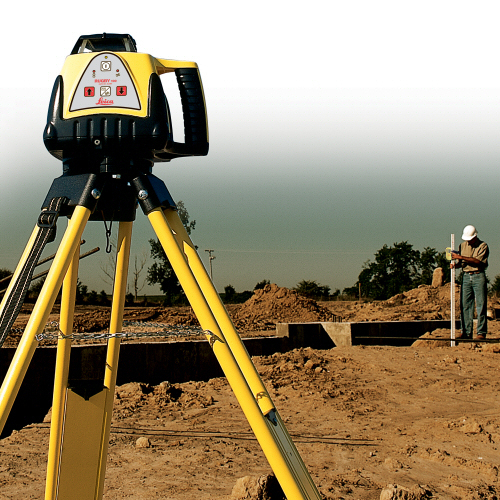 It can make quick work of concrete forming, pad placement and framework, setting foundations and footings, as well as elevation indication for heavy equipment. The Rugby 100 automatically levels in under 30 seconds, and with just a four-switch keypad easy to use. The co-molded housing of high-impact plastic and rubber is robust and has been engineered to withstand the toughest jobsite conditions. Its ergonomic, structural and performance features add up to the greatest value on the market today. 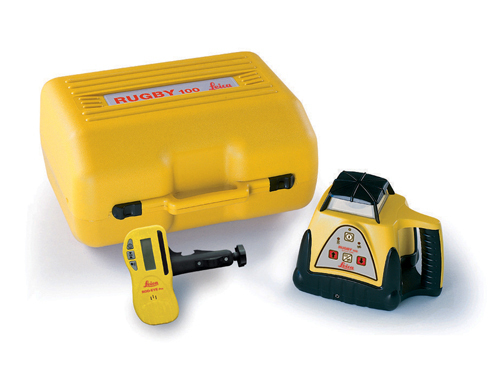 The RUGBY 100 is a high technology, high precision tool. the new standard for durability and value. During a recent dealer visits to promote the RUGBY 100 family and demonstrate the ruggedness of the Rugby and the ROD-EYE Laser Sensor the tool was dropped (simulation of a typical job site and transport condition) at every single customer or dealer location visited. At last count, the RUGBY and the ROD-EYE Sensor had been dropped over 65 times and guess what, it was no surprise that the RUGBY 100 and the ROD-EYE Laser Sensor still stayed within calibration. Easy to learn. Easier to use. Always fast, reliable, and accurate. H.I. 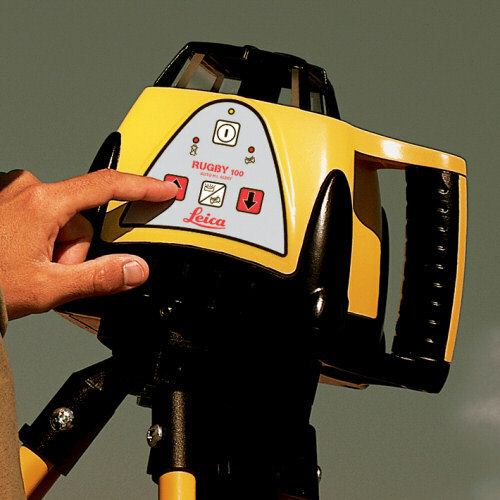 (elevation alert) feature prevents errors due to shifting or movement of the tripod.